Last night was a pretty eventful night. 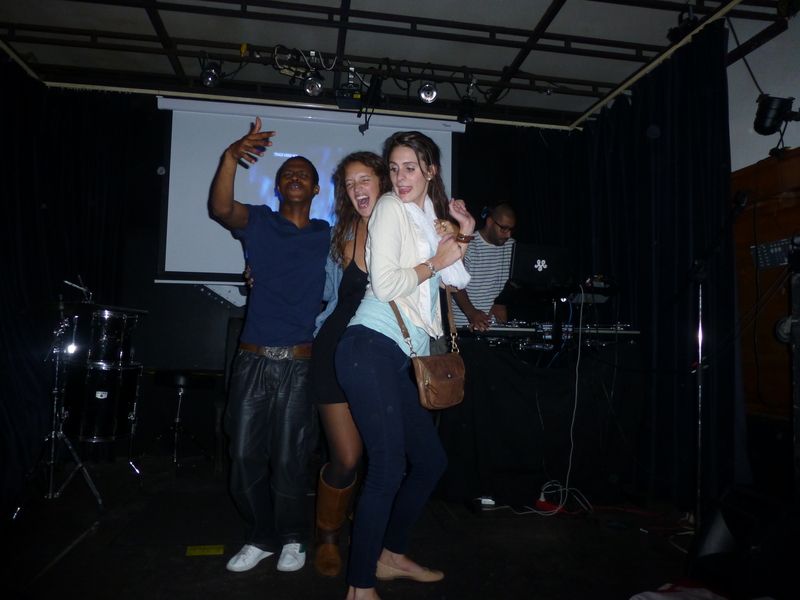 I went out to downtown Brussels with a couple of friends. We started off at St. Catherine’s square, then Delirium, and ended the night at a dancing club. St. Catherine’s square is a beautiful place. At the beginning of the square there’s St. Catherine’s church and in front of the church there are beautiful big fountains. Since it rained all day yesterday the fountains were turned off so it looked like a scene from a horror film but when it’s dry out and the fountains are turned on the square looks absolutely breathtaking. After we all met up at St. Catherine’s we walked to this section around the square full of bars. This section had bars on the corner of each street, which connected at an intersection. The intersection was packed with people it looked like a big party.We ended up going into this museum/bar. In the morning the place is a museum and at night it turns into a bar. (I don’t know the name of the place yet but I will soon figure it out.) There I decided to treat myself to a Piña Colada for 8 Euros. I felt like it was a well deserved cocktail. After the museum/bar we headed to Delirium. 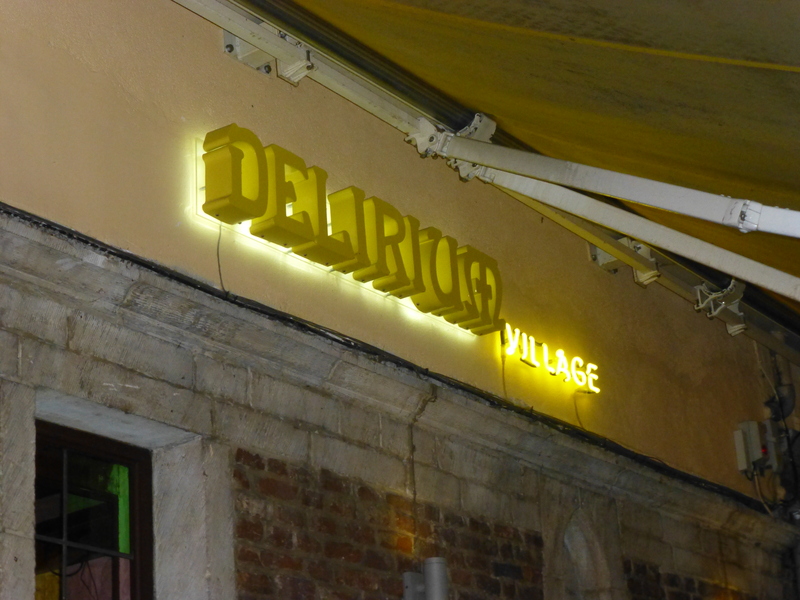 I mentioned Delirium before in one of my previous blogs, basically an alleyway full of bars. 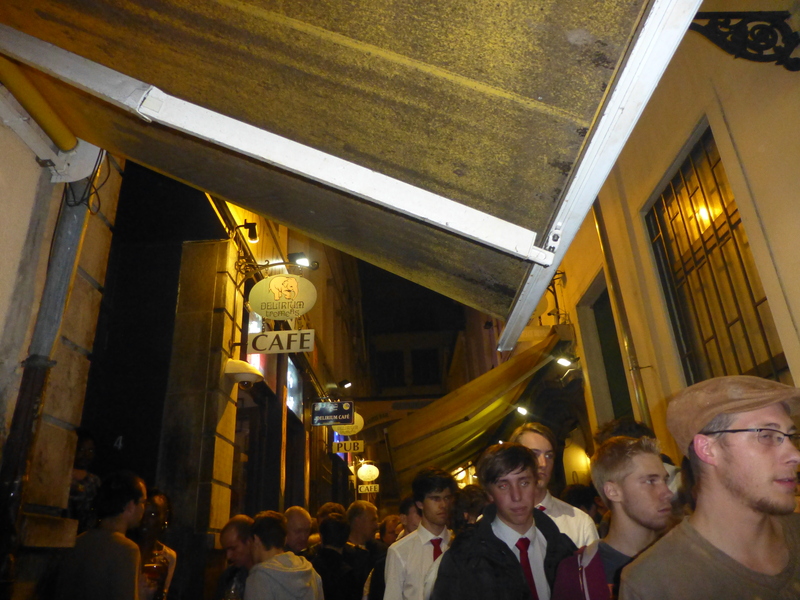 It’s always crowded there but somehow we managed to grab a table outside one of the bars. 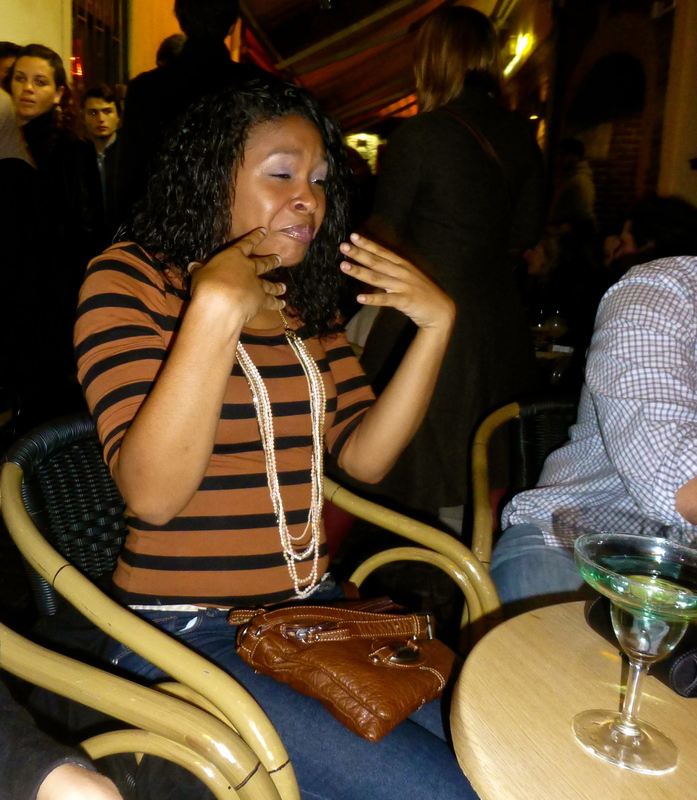 A couple of the people I was with decided to chip in for one Absinthe drink. The drink originated in Switzerland in the 18th c. It is apparently a mix of neutral alcohols. 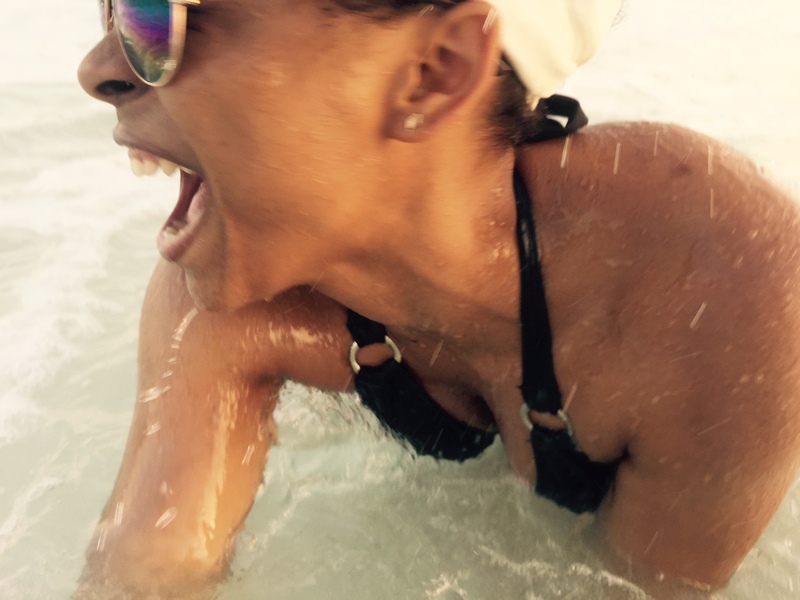 I ended up taking a sip and OH MY GOD! It was the most intense drink I have ever tasted in my LIFE! 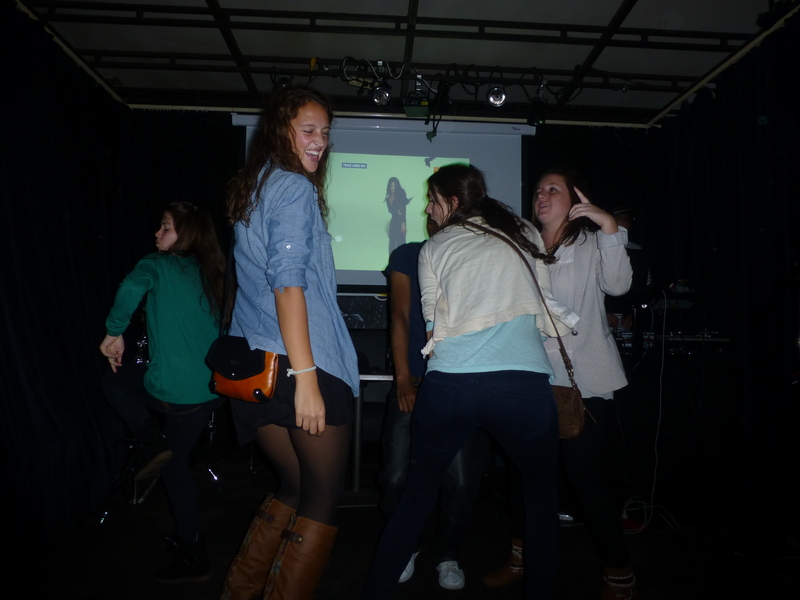 Then we headed to the hip-hop/spanish club. It wasn’t really packed and the hip-hop they played was a little old school but it was still a fun experience. I enjoyed watching my friends get on stage and dance, with this random guy, who I’m sure enjoyed every second of having so many girls around him. I couldn’t stop laughing at the happiness displayed on this guys face! This entry was posted in Semester in Belgium and tagged abroad, adventure, Belgium, brussels, couple of friends, Europe, experiences, piña colada, postaday, sightseeing, student, study abroad, travel on October 6, 2012 by SimplyTiff.